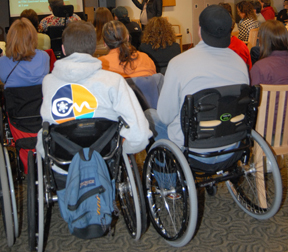 Spinal Cord Injury Transitions and Wellness Program. This program is made possible by a grant from the Craig H. Neilsen Foundation and a generous gift from Mr. Kenny Salvini, his family and friends. 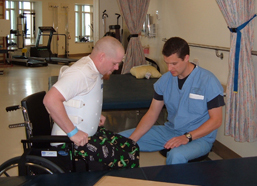 These donations allow us to offer the program at no charge to patients. Individuals who receive ongoing care from any UW Medicine entity (including University of Washington Medical Center, Harborview Medical Center, Northwest Hospital, Valley Medical Center, UW Neighborhood Clinics and all UW Medicine-affiliated centers). 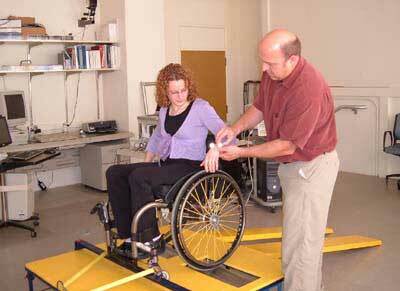 Promote lifelong health and wellness for people living with SCI. Ease the transition from hospital care to community living. Improve participation in community-based exercise, leisure, and vocation-related activities. Individuals must have a referral from their UW Medicine-affiliated health provider (see "Eligibility," above) in order to participate in this program. Download the Medical Referral Form (instructions for submitting a referral are on the form). To learn more about this program, please contact the SCI Transitions and Wellness Program Coordinator at: 206-744-2060 or sciwell@uw.edu.